Periodontal disease (“peri” – “around;” “odont” – “tooth”) results in the destruction of the gums, bone and periodontal ligaments. Everyone has different levels of different bacteria in their mouth, some bacteria people carry can cause an inflammation of the gums. This inflammation is actually an immune system response by the body to fight infection caused by the bacteria found the tartar/plaque in the mouth. 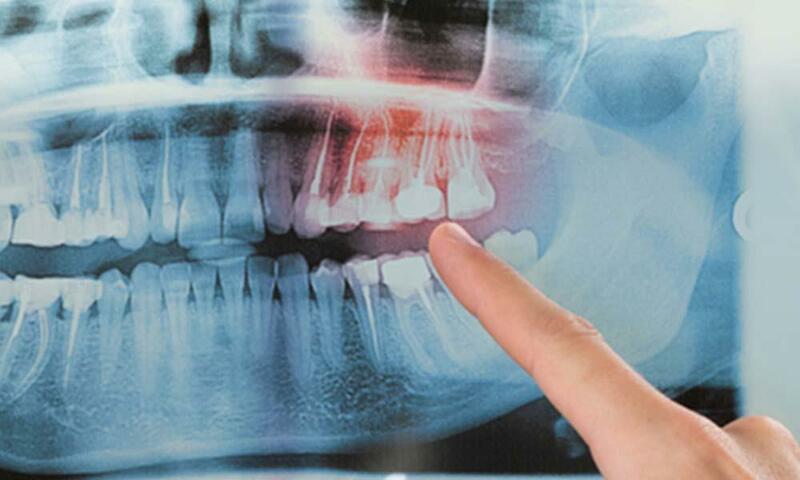 If left untreated, this inflammation can ultimately lead to the destruction of the gums, bone and periodontal ligaments, resulting in bone loss and eventual tooth loss. There are factors that are common to both periodontal and heart disease, which make some individuals susceptible to both types of disease. Inflammation is a very primary way that the body responds to both trauma and disease. Not everyone’s immune system reacts the same. Depending on the way an individual’s immune system responds to specific types of bacteria, it will change the occurrence and severity of the inflammation present. There is evidence that this same type of inflammatory response is associated with changes in blood vessels that cause both cardio-vascular and cerebro-vascular diseases. There are several studies that support the relationship of periodontitis to these cardio and cerebro-vascular diseases. Bacteria from inflamed gum tissues associated with periodontal disease enters into the bloodstream though the oral tissues, which lead straight to the heart and brain (as well as other organs in the body). Researchers are now evaluating whether the treatment of periodontal disease has an effect the progress of cardiovascular disease. Initial results indicate that treatment of periodontitis does reverse damage to blood vessel linings. The next step is to confirm whether improvement in blood vessel function will reduce the occurrence of stroke or heart disease. So, we know moderate to severe periodontitis does appear to increase a person's risk for cardiovascular disease. We believe that reducing inflammation in the periodontal tissues may affect the progression and advancement of cardiovascular disease and its outcomes. We cannot say, however, that periodontitis actually causes heart disease. If you want a healthy heart and body, you can be sure that good oral hygiene to reduce bacteria, regular visits to your dentist, and good diet and exercise for cardiovascular health are necessary. The healthier you keep your mouth and body, the better your chances of reducing your risk for both periodontal and heart disease.